medsEXPERT Pharmacy is the community's one-stop healthcare resource headed by Toronto’s premier gay pharmacist for the service of managing people’s medications, referring clients to LGBTQ-focused providers, and ending HIV stigma with awareness and compassion. Take Pride In Your Health! Welcome to medsEXPERT Pharmacy, Canada’s first and only LGBTQ-owned pharmacy focusing on queer healthcare. Located in the heart of Toronto’s Gay Village, we’re a full-service pharmacy specializing in gay men’s health. Our services include prescription medications, over-the-counter remedies, referrals to quality healthcare providers, reliable information on HIV treatment and prevention, and the latest in gay men’s health issues. If you have a question, need medical advice, or want to know where the best place to go for LGBTQ health is… we’re just a click or phonecall away. 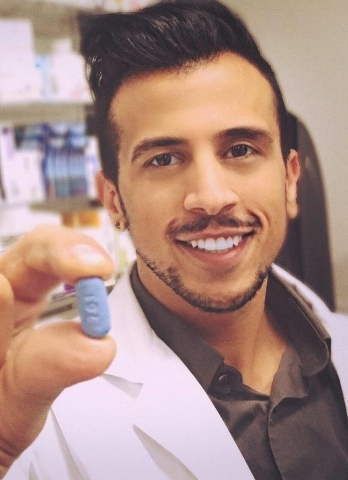 Dr. Michael Fanous, PharmD has dedicated his career to improve access to LGBT healthcare, affordable medications, and providers in his own community. Accreditation #: 306759 DM Name: Michael Fanous OCP#608145 Ownership: Michael Fanous Inc.